Multiple passenger accounts suggest they sensed something was wrong --- they claimed they had heated exchanges with the six crew members, but were assured all was well. 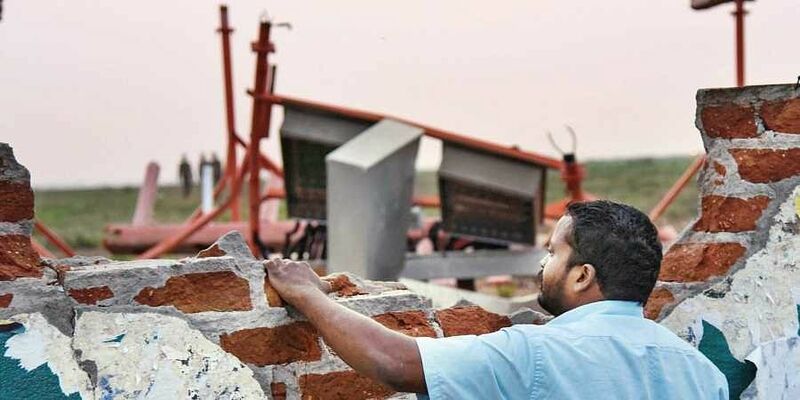 TIRUCHY: For more than three hours, the pilots of Air India Express flight IX-611 had no idea they knocked down part of the Tiruchy airport compound wall while taking off at 1.15 am on Friday. Call it a miracle if you will. With 130 passengers on board, they headed for Dubai, and didn’t know about the mishap until they reached Muscat airspace. However, multiple passenger accounts suggest they sensed something was wrong. They claimed they had heated exchanges with the six crew members, but were assured all was well. While the belly of the aircraft had a gaping hole, part of the perimeter wall and the Instrument Landing System (ILS) — including five antennae, the monitor and control units — were damaged. A Very High Frequency (VHF) antenna also fell off the aircraft, airport director K Gunasekaran said. Airport officials radioed the pilots and gave their counterparts in Dubai a heads-up. While the pilots were confident that the plane was sound, officials at Dubai refused to let it land, saying it was too risky as a tyre, too, had taken a bit of a hit. This sparked another round of anxiety on board, and after getting permission for an emergency landing at Mumbai, the passengers were told where they were headed. 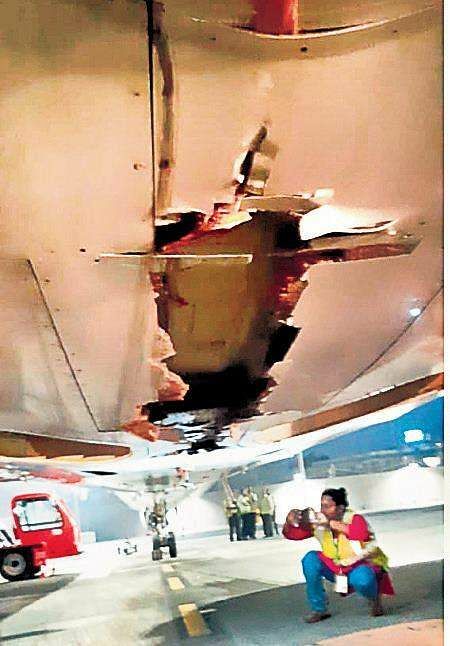 “The aircraft landed safely in Mumbai around 5.35 am and taxied on its own to the parking bay. All 130 passengers and six crew members on board alighted safely,” Air India said in a statement, which perhaps showed how sturdy the Boeing 737 was, despite a puncture in its body. The first alert came from traffic control officials, who noticed the accident through CCTV footage. The information was shared with the Air India office in Mumbai, which was when the chain of communication began. The situation could have gone out of control in Tiruchy itself as the airport’s 5-ft wall stands adjacent the Tiruchy-Pudukkottai National Highway. “Had a bus or truck been plying at that time, the aircraft’s tyres would have smashed into it too. Thank god there was no traffic on the road,” said Thangavelu, a local resident. But residents in the vicinity didn’t hear a bang. “I didn’t hear any big noise as I was asleep. We are used to the sound of planes, and the crash would not have been very loud,” said R Xavier, a senior citizen, who lives near the airport. “Had the aircraft gone further in the same trajectory, it could have smashed into residential buildings. The runway must be expanded,” said Sheik Dawood, a resident of RS Puram. Gunasekaran, however, said the runway was long enough. Union Civil Aviation minister Suresh Prabhu said he directed officials to conduct a high-level enquiry. He asked them to put in place a regular ‘safety compliance report’ of all airlines.